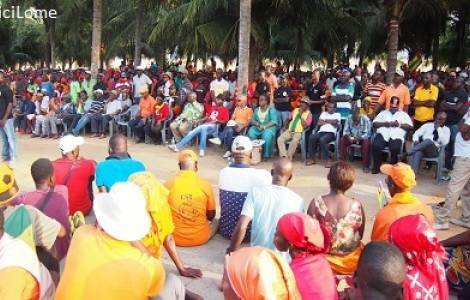 Lome (Agenzia Fides) - The popular movement of peaceful protest does not stop: on 31st January, the 1st and 2nd February the Togolese have been invited to take to the streets of the capital Lomè and other cities as a sign of peaceful protest towards "the silence of power in the face of the demands of the population". This is what Fr. Silvano Galli, Society of African Missions (SMA), refering to the latest news reported by the Togolese press. 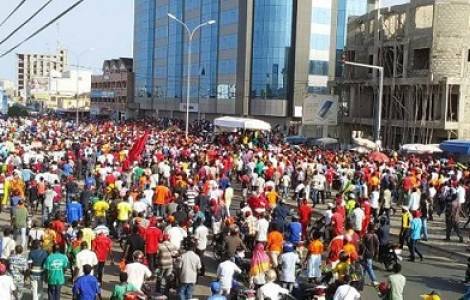 After the demonstration that saw women take to the streets of Lome against Faure Gnassingbé’s regime (see Fides 23/1/2018), the opposition coalition has announced other peaceful demonstrations in the coming weeks. The main demands of citizenship remain: the return to the 1992 Constitution, the revision of the electoral framework with the right to vote for the Togolese living abroad, the unblock of the institutions of the Republic and the release of all political prisoners. Although, for the government, a return to the 1992 Constitution seems "a step backwards for the country", the opposition claims instead that it is "an essential step for Togo's journey towards democracy, and it is a pure state of right", continues Fides source. Under no circumstances, observe the leaders of the protest, politicians must exercise more than two five-year presidential terms. The opposition believes that the regime continues to evade true reforms and exploits sub-regional institutions and international communities. "We have all inherited Togo", reads the note from the Togolese information web portal "Icilome.com".